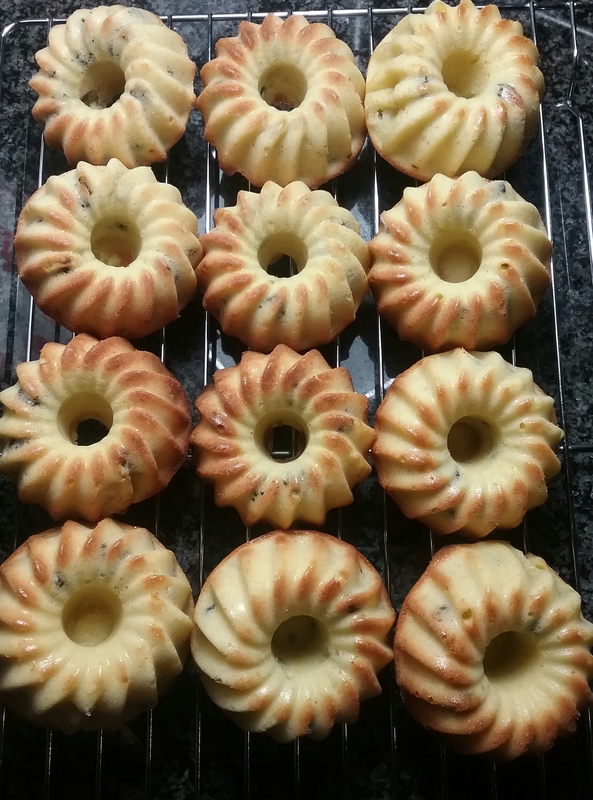 Banana, orange and currant gluten free mini bundt cakes | Jo's food bites. I do love a bundt cake – makes an ordinary cake look so pretty. i was thrilled when I discovered the mini bundt tins 🙂 Of course these would be just as tasty in cupcake tins. Put all the ingredients in to a bowl and mix thoroughly. Spoon the mixture in to the tins and bake in the oven for 10-15 minutes. These look so pretty and the combination sounds lovely! These look pretty and the flavor combination sounds lovely. They look divine – Just recently bought myself some mini bundt pans, and just love them so much. I would like to personally invite you and hope you will be able to participate in our first new monthly exchange: T’IS THE SEASON: CAKES, COOKIES AND TREATS – December 2016 Share and Inspire Others! – https://cookandenjoyrecipes.wordpress.com/2016/12/01/share-and-inspire-others-december-2016-event/ . Not going to submit this month. Would love to next month if I may.